Whether you are practicing rhythm along with a backing track, perfecting your guitar solo, or expanding your improvisation skills over a jam track, you will find it a true joy and it’s SO good for your guitar playing. 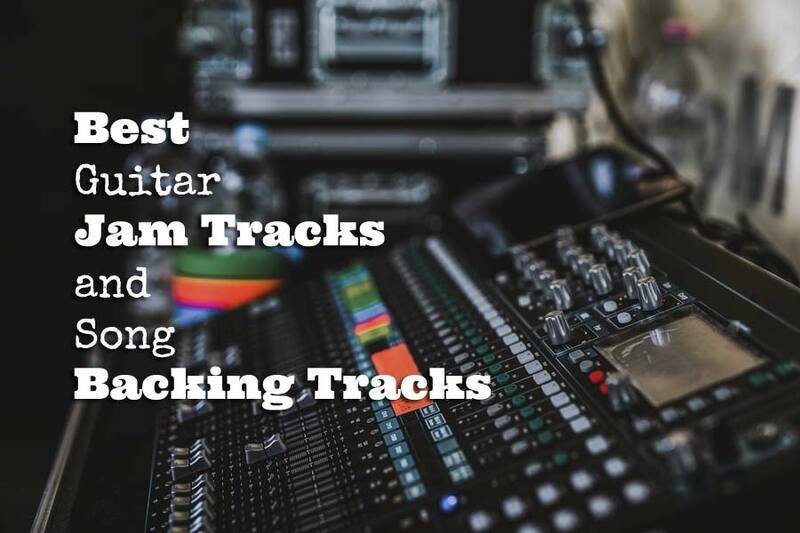 Practicing with jam and backing tracks develops and enhances your rhythm, feel and timing for music and your ability to lock into the groove of the drum and bass, which is an imperative skill for any musician. When you study a lead guitar solo it’s good to play along with the track without actually hearing the original notes of the solo and learn to fill in your solo between the spaces while keeping up with the right tempo, timing and feel of the song. It’s the perfect way to practice what it’s like to play with a real band and what that requires from your playing. You have to learn and memorize songs, practicing them over and over until you get it right from beginning to end, until you feel comfortable enough to play it in front of an audience. If you want to get good at soloing & improvisation, jam tracks are the best tools to exercise, drill, explore and train yourself for the challenge of playing over chord progressions. It’s a must-do. So today, we got some great hiqh quality sounding jam & backing tracks for every kind of musical style and purpose. Now you know what to do. Set aside a part of your daily workout to practice with jam & backing tracks and watch your playing improve and unfold. I woke up at 5 am, stretched, ran and practiced the Wim Hof Method on a regular basis (life changing), I read a lot of books (more than ever), I learned a complete repertoire of my favorite acoustic songs and performed them on stage. I wrote song lyrics, I switched to Logic Pro and Final Cut Pro and learned enough to do the job, made (and ate) more healthy lunches and dinners, and a few other things I didn’t plan for. Of course, to be fair, there are things that didn’t make the cut. I meditated, but not nearly enough. I didn’t record any songs, and my jazz practice fell short. Still, I am happy of the things I did do and I’m hungry for the things that are yet to come. The beauty is that there is a whole new year ahead of us abundant in time and space to create, practice, explore, grow, improve, become wiser and braver, more disciplined and persistent, and relaxed and flexible at the same time so we can enjoy this upcoming adventure with renewed energy. A chord melody arrangement consists of both melody (solo) and harmony (chords) of a song. This kind of playing is very appealing to the listeners ear but also really fun to practice and perform for the guitar player. Chord Melody is often used in Jazz playing and Christmas songs. It’s a really cool technique to learn, explore and add to your skill set. 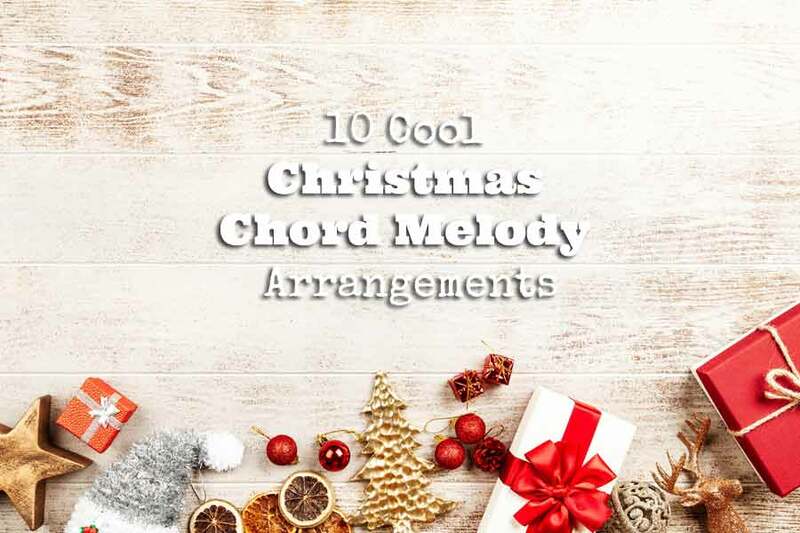 Today we got 10 cool Christmas chord melody guitar arrangements. These arrangements are probably more suited for intermediate and advanced level. Having said that, don’t let me stop you from trying. 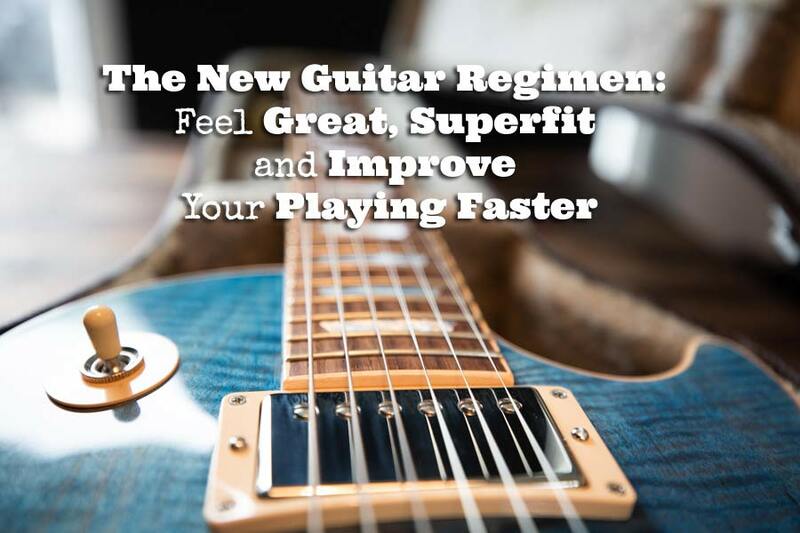 To improve your guitar playing you have to practice regularly. That’s a no-brainer. To make sure you actually do that you must have time, motivation, energy and focus. 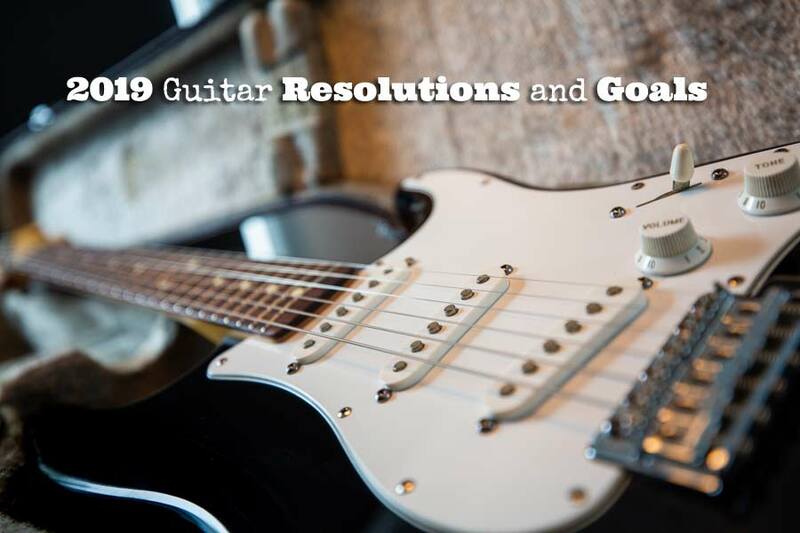 Time is one thing (if that is not enough), but motivation, energy and focus are equally important and really need to be in place to make your guitar regimen rock solid. For some this may look unattainable, but it can be done. 1 – Write down in your calendar at what days, what times and for how long you’re going to practice (30 or 60 min). 2 – Schedule another 30 min extra time before practice (I’ll explain in a minute). 3 – Inform family and friends your practice time is sacred and they can’t disturb you while you’re at it. 5 – Set up your equipment, your guitar(s), sheet music, and necessary tools (pick,capo,tuners,etc.) the day before practice, so you are ready to roll. 6 – Make sure nothing comes in between you and your practice regimen. Make it so. Next, write out the table of contents for your practice workout. How are you going to spend those valuable 30 to 60 minutes of full blown practice? Make sure it contains everything you love to play and things that drive you to get better and better. Choose, print and write down the scales, licks, exercises, chords, progressions and solos you want to work on. 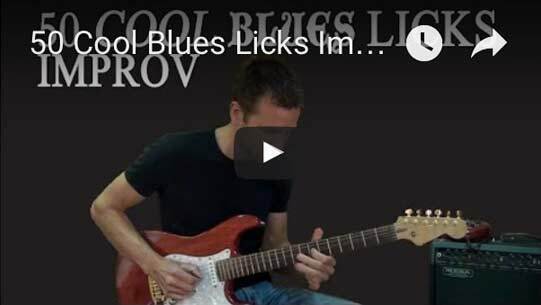 Get your nice blues jamtracks ready for improvisation, find some ear training exercises, and music theory to study, and above all, select the songs you love to play.